Videogame cookbooks are proving pretty popular at the moment, and it’s RPGs that seem to be offering up the most impressive culinary feats. 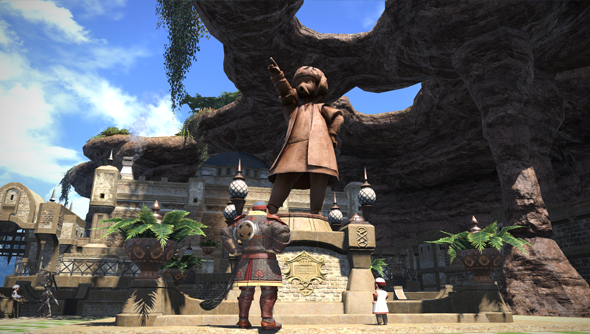 The Elder Scrolls’ Skyrim and World of Warcraft’s Azeroth have both had their most famous dishes offered up, and now it’s the turn of Final Fantasy XIV’s Eorzea. A Chef in Need is an unofficial fan-made cookbook featuring recipes from FF14. The book was compiled by Reddit user LooneyToony, who has used repurposed recipes from around the internet as well as contributing their own creations. Several recipes are easy enough to find in real life, but several have their own FF14-themed twist – Grilled Dodo in particular sounds like it’d be pretty difficult to get your hands on. Each recipe features its corresponding in-game description, a difficulty rating, and an ingredients list which does admittedly contain a few swaps – I doubt your local supermarket stocks much in the way of fire and water shards – items you would need for a number of these recipes if you were going to make them in-game. The recipes included in the book – which you can check out for free via Google Drive – are just from Final Fantasy XIV: A Realm Reborn. LooneyToony does say, however, that they plan to make more recipe books for Heavensward, Stormblood, and Shadowbringers when it releases later this year. Until then, there’s plenty of recipes to try out. If cooking’s not your thing, however, there’s still plenty to deal with in-game. Last week the Blue Mage job arrived, and Harry’s put together a handy list of all the Final Fantasy XIV Blue Mage spells you can learn. Sure, he can conjure ice spikes and petrify your enemies, but can he whip up a perfect Bouillabaisse? I didn’t think so.